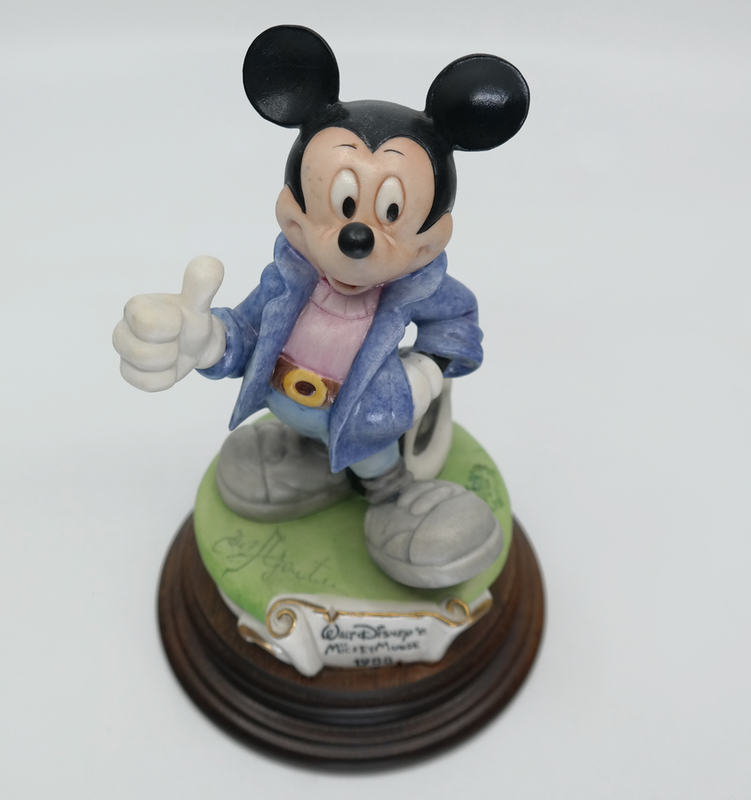 7.5" x 4.75" x 4.75"
This is a fantastic porcelain figurine featuring Mickey Mouse, in his then current 1988 form, from the "A Walk Through Time with Mickey" collection that was sclupted by Enzo Arzenton for the Capodimonte collection. 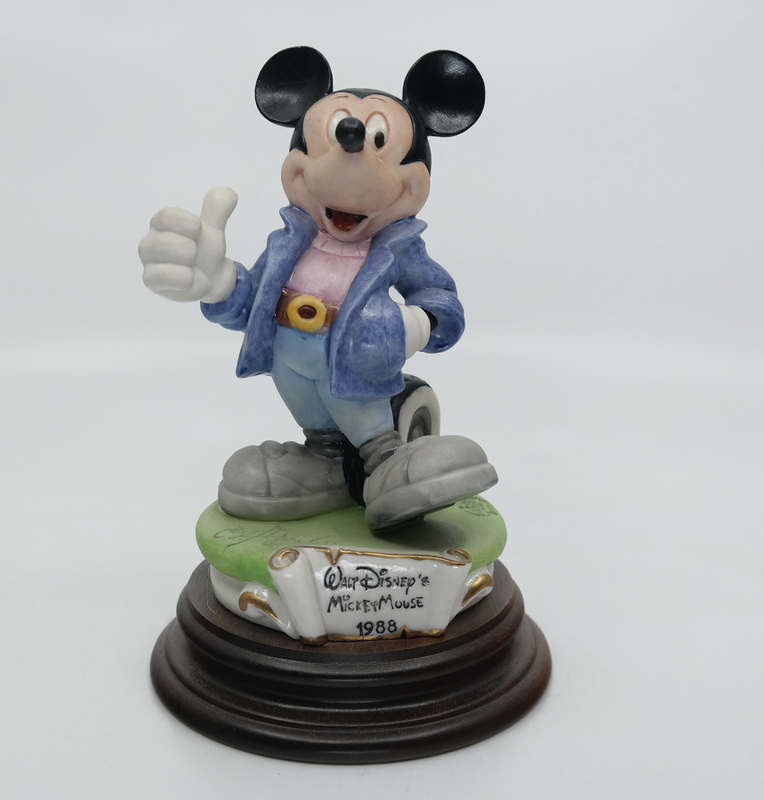 This statue was released in 1988 in an edition of 237 pieces . 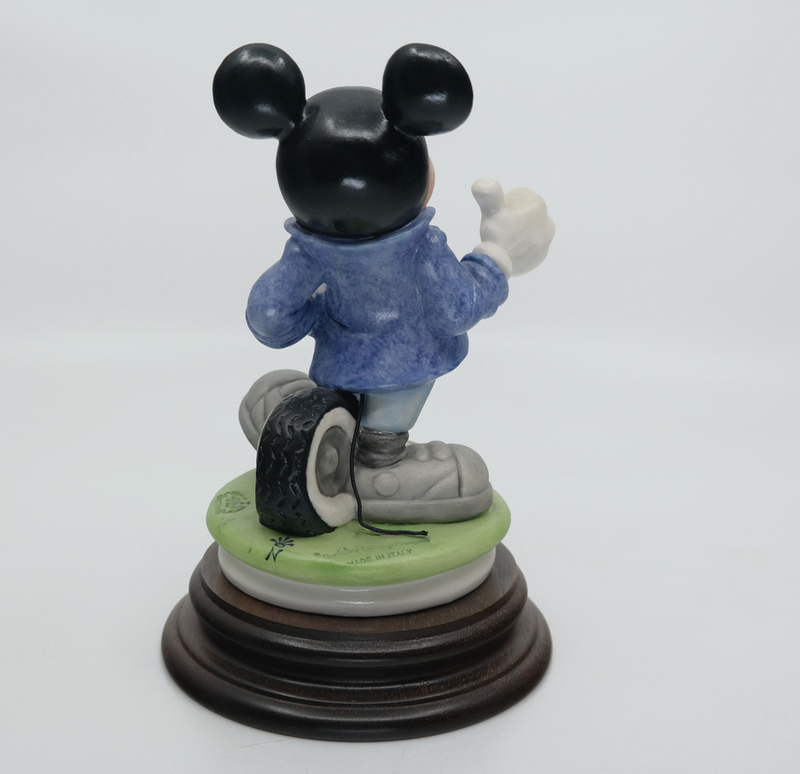 The piece measures 7.5" x 4.75" x 4.75" and is in excellent condition.